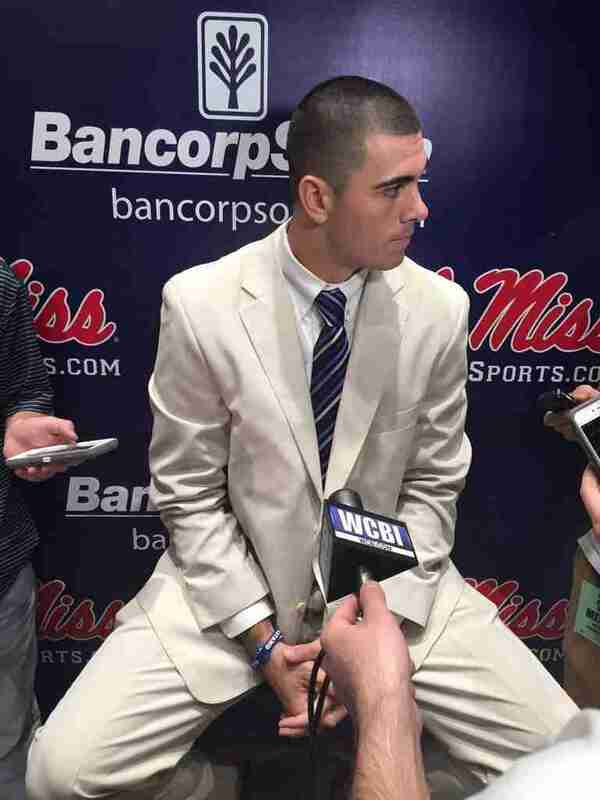 Just a year ago, Chad Kelly was the starting quarterback for East Mississippi Community College, watching on television in his dorm room as then-No. 8 Ole Miss was thumped by the Arkansas Razorbacks. A year later, Kelly is now part of a Rebels team that is looking for a measure of revenge. Last year as Kelly watched the Arkansas defense force six turnovers, one of which was a pick-six returned by the Razorbacks’ Rohan Gaines, he instantly felt the pain Ole Miss was feeling, despite not being on the roster. But he is now a full-fledged member of the Rebel family, and Kelly wants to reassure teammates and fans things will be different this time around when Arkansas (4-4, 2-2) enters Vaught-Hemingway Stadium this Saturday (2:30 p.m. CT, CBS) for another Southeastern Conference dogfight–as head coach Hugh Freeze likes to call league games. “They are going to be a tough, physical team. That’s what they pride themselves on,” Kelly said about the Razorbacks, who are 1-1 on the road this season. “It’s going to be a hard fought game; they played us hard last year and I think it’s kind of a revenge game for me at least, because I was watching it personally and I felt the pain they were all going through that game. “And I’m excited for this opportunity,” he added. Kelly has noticed all the attention this game has received and is happy to be a part of it. He feels last season’s loss should factor in as a motivational tool, just as last season’s loss to Auburn did for Ole Miss (7-2, 4-1), which defeated the Tigers on the road last Saturday 27-19. “Keep the intensity up every day and we have to go out and execute and it starts at practice,” he added. All season long Kelly has been hard on himself for any mistakes he has made with the football, most notably his interceptions. But, Kelly knows how important his performance is for the offense and hasn’t shied away from that on which he needs to improve. Kelly was named SEC’s Offensive Player of the Week on Monday after completing 33 of 51 passes for 381 yards and two touchdowns against Auburn. When asked at the Rebels’ Monday press conference about receiving the weekly award, Kelly indicated he had not even been aware of the news. 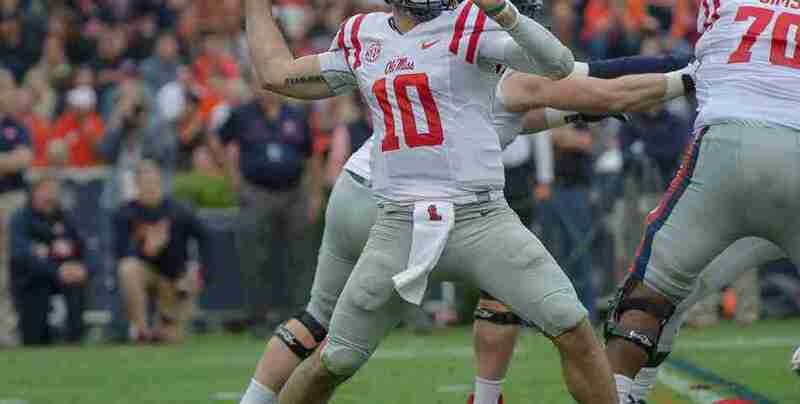 And, as always, the Ole Miss signal-caller didn’t take the credit for the league recognition. He quickly pointed out what the team, as a whole, has done in order for him to be successful. Kelly currently leads the SEC in passing yards (2,856), completions (213), QBR (151.35), and passing TD’s (20). “Yeah, it’s because of my teammates,” said Kelly, who has started to come to Ole Miss press conferences looking dapper in tailor-made suits. “They are the ones that make it happen. The O-line did a great job blocking, receivers made plays and running backs ran hard,” he added.